← Tell the future – Is this possible? Ley lines are alleged alignments of such places as ancient monuments and megaliths, ridge-tops and water-fords. It is claimed that these lines have spiritual power and that their intersection points resonate a special psychic or mystical energy. Some people think they were selected in earlier times for the spiritual benefits and revelations bestowed by nature. Others however suggest finding straight lines that “connect” sites, should be put down to coincidence given the high density of historic and prehistoric places in Britain. The authors are firmly in the first camp. They claim that ley lines do exist and that a general ley line runs right across southern Britain for 300 miles from the far west of Cornwall to a point on the east coast of Norfolk. It is called the St Michael’s line which takes in many historic places such as at Glastonbury, Avebury and Bury St Edmunds. It is claimed dowsing reveals two specific ley lines of enigmatic flows of energy meandering around its course. To dowse is to search, with the aid of a simple hand held tool. For example this can consist of two rods simply and quickly made for example from a pair of metal coat hangers cut appropriately and bent into a right angle. What is sought is otherwise hidden from view or knowledge. Dowsing has been used to look for underground water, archaeological remains, cavities and tunnels, oil, and veins of mineral ore. It is also claimed to detect subtle energies that surround certain things. Dowsing apparatus has no power of its own but merely amplifies slight movements of the hands. The subconscious mind may influence the body without the dowser consciously deciding to take action. Dowsers maintain that they are intuitively perceiving a mystical force through divination. Scientists are more likely to explain dowsing in terms of firstly physical cues that the dowser senses without realising it, secondly what the dowser expects to find, and thirdly what is probable given the specific situation. For some people, reading this book may be an exasperating experience. There is little or no attempt to accommodate to the reader who might not share the authors’ instincts and intuitions. We get speculation often voiced as faith, theory presented as fact. This is not a book that addresses questions about the methods used. Nothing about the expectations of the dowsers. Could they have independently confirmed each others results without prior knowledge? We do not know. Neither does it address the level of statistical probability for ley lines and confidence one can place on the patterns found. On the other hand perhaps we should take into account what has been called ‘the common feeling background’. The researches of philosopher and psychology teacher James Pratt have revealed a mild form of mystic experience which is the sense of the presence of a reality through other means than the ordinary perceptive processes or the reason. 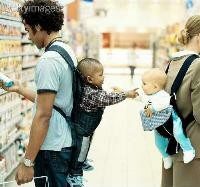 This feeling is said to be often overlooked although common place. The reason he gives is that those acquainted with it are frequently hesitant or ill prepared to describe it. I can sympathise with the view that earth is a mother that gives us life and that industrialisation has progressively created a situation where humanity works against nature instead of with it. However, whilst realising our present way of understanding and treating the earth is wrong, I do wonder whether this talk of ley lines as an alignment of sacred sites and the earth as a living creature might just be a wishful expression of this realisation? In his account of the spiritual dimension to life, Emanuel Swedenborg does not mention ley lines or dowsing but does writes that there is an energy that flows into the natural world via a hidden spiritual realm. According to this view, the earth is not alive in itself but receives a flow of energy originating from its divine creative source. Swedenborg writes about how spiritual enlightenment is needed if we are to perceive reality clearly. We need to intuitively tap into the mystery of life because our physical senses cannot tell us all there is to know. At the same time we need to use our physical senses and thinking ability to confirm and understand what we intuitively perceive. In his spiritual philosophy he tries to write about his own deeper perceptions in a rational form as possible. At the same time he knows only too well that what is deeply true transcends even the rational degree of the mind. 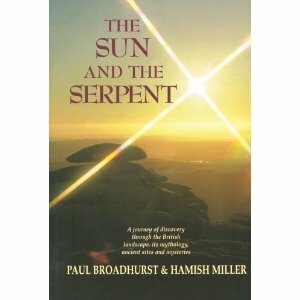 So what to make of ley lines, dowsing and the book The Sun and the Serpent ? I still don’t know!